Today I am posting about a good gerbils diet... enjoy! 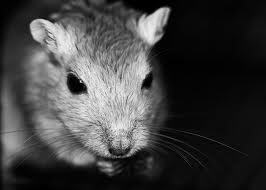 Gerbils are hardy herbivores that make fun, energetic pets. Your gerbil’s diet needs to be nutritious, so it can maintain its active lifestyle. A gerbil’s basic diet consists of pellets, water, treats, and chew toys. Pellets: A good gerbil diet consists mainly of pellet rodent chow with 16-20% proteinow with 16-20 percent protein. When you’re buying a commercial diet for your gerbil, check the package to make sure there is enough protein in the chow. Some brands only have 12 percent protein which is not enough for gerbils. You should feed your gerbil about a handful of pellets a day. Any more, and your gerbil will get obese. 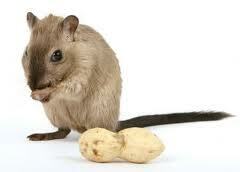 Water: In the wild, gerbils don’t drink water because they get enough of it from plants and roots. As pets, they need to have a constant supply of water at all times. Even though they don’t drink large quantities, it still needs to be available. Treats: You can give your gerbil treats like seeds, fruits, and vegetables. Limit the amount of treats you give your gerbil because seeds are high in fat, and fruits and vegetables don’t have enough protein. 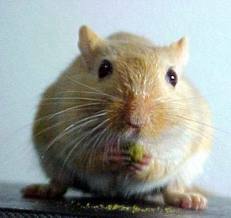 Gerbils will eat the tasty treats instead of their commercial diet, so make sure you are monitoring your gerbils treat intake. 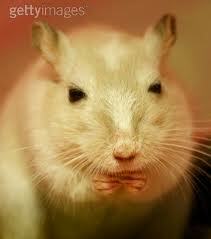 Chew Toys: Gerbil’s teeth continuously grow, so they need to have things to chew on to wear their teeth down. Your gerbil’s pellet rodent chow will help wear down teeth, but you should give your gerbil some sticks or blocks to chew on daily. 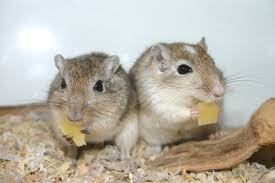 It is painful for gerbils to have overgrown teeth, so always provide chew toys. Who can resist a gerbil blog? Not me. New follower. Waving to you from the 600's in the A to Z.
I've always considered a gerbil a good alternative pet to our standard fare of cats. This post gives me a GREAT idea of how to care for one if we ever get one! Do you think a kitten and young gerbil would get along if raised together? Just thinking...perhaps it's a bad idea. You seem to be the person to ask! Aww! 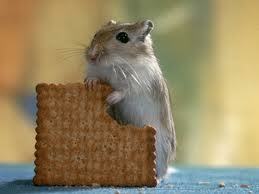 The gerbils are so adorable. I love the picture at the top of the babies. it was cool to learn about gerbils too. Hello, Fellow Challenger. I'm #424 from Rockin' Chair Reflections. Come visit when you can. You forgot to mention that gerbils love electric cords, too! That's the first thing they head for if they can sneak out of the cage... Great blog! Do you have a spokesgerbil? My mom had gerbils and guinea pigs and I had forgotten how cute they are.